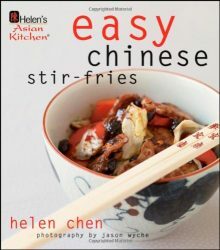 If you enjoy Chinese food but have never cooked it at home, then Helen Chen’s new book, Easy Chinese Stir-Fries, is a perfect way to start. The book is relatively small with about 60 recipes, but Chen covers a range of basic stir-fries that are the heart of her family’s cooking. Born in Shanghai and raised in Massachusetts, Chen fondly recalls the home cooking of her mother, the late famous restaurateur Joyce Chen, and incorporated those kinds of every day dishes in this book. Chen includes sections on equipment, techniques, and ingredients with helpful tips such as how to properly season a carbon steel wok and how to marinate meats and seafood with a little wine and cornstarch before cooking to help seal in the juices. She carefully chose authentic ingredients that are available in many well-stocked stores or local Asian grocery stores. If you want to have a basic Chinese pantry, pick up some of the ingredients she suggests, such as Sichuan peppercorns, light soy sauce, hoisin sauce, Chinese rice wine, hot bean sauce, oyster sauce, and sesame oil. 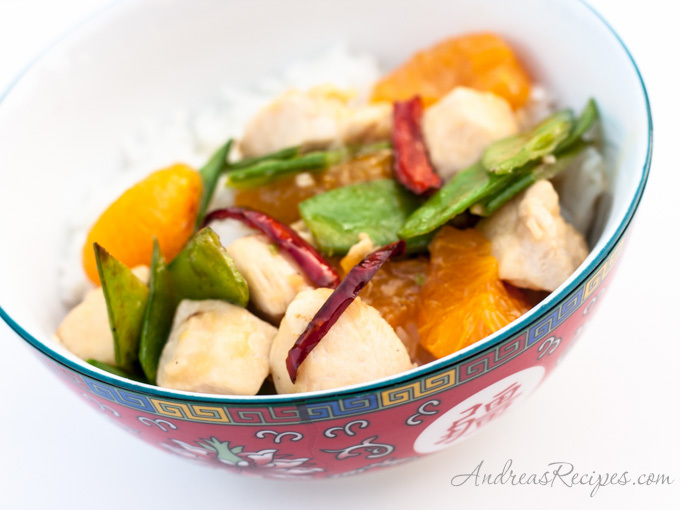 I’ve made several dishes from the book, and two of my favorites are the Mandarin Orange Chicken and the Chicken Lettuce Wraps. I found all of her instructions easy to follow, and all of the recipes I’ve tried can be put together in about 30 minutes, delivering a quick and healthy meal for the family. The book is full of recipes that are perfect for busy weeknight dinners.